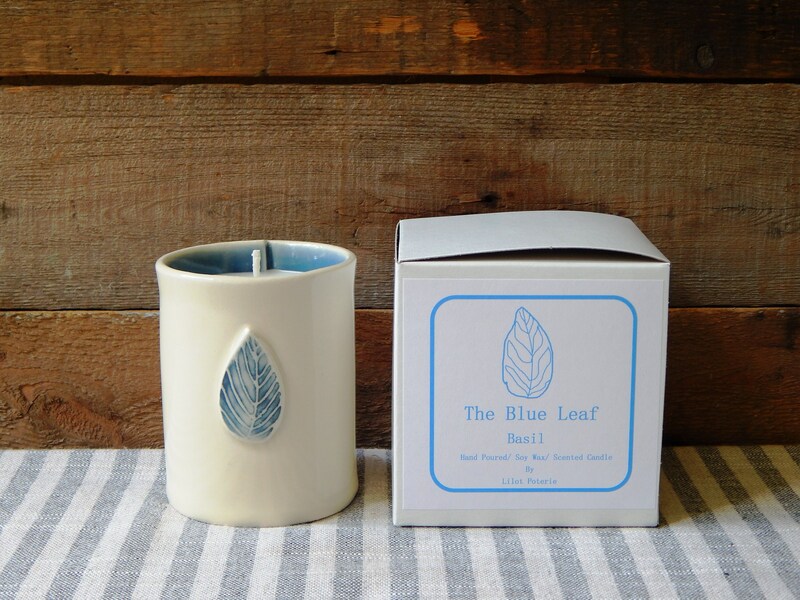 The fragrant candles, the blue leaf, are infused with essential oils, fresh herbs and spices. 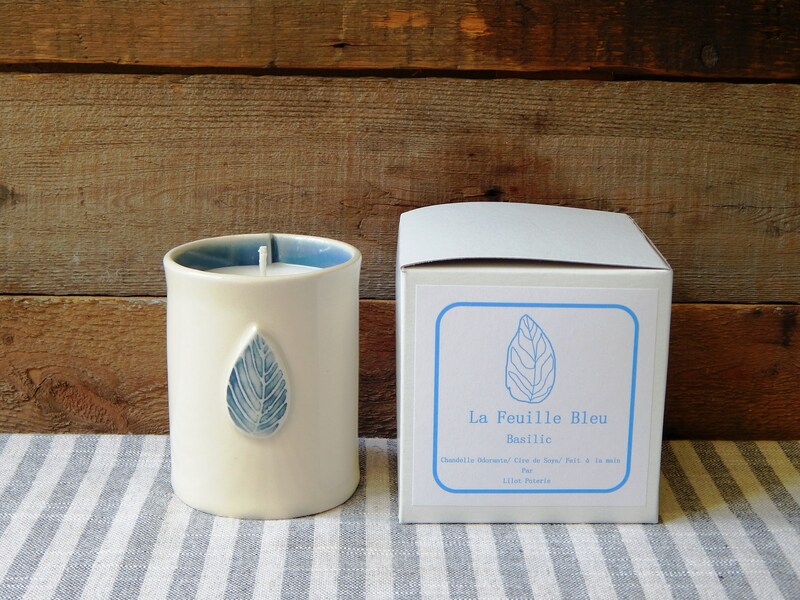 Made by hand with ecosoya wax without ogm, the porcelain container is also handmade. 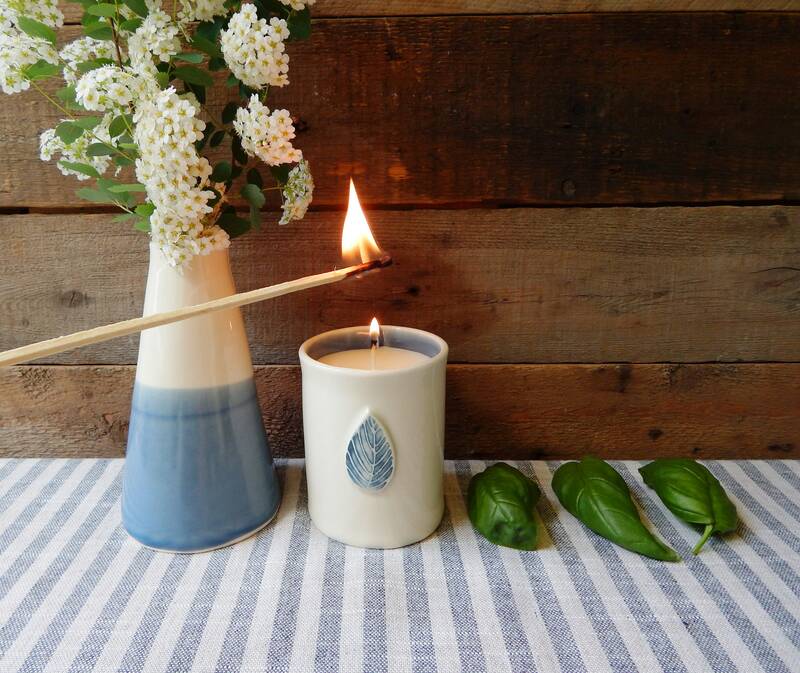 The basil candle leaves a slightly spicy aroma when burned.